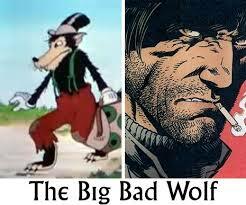 Big Bad Wolf, who seeks to blow the houses down and eat their owners. The tag is often applied to men who have the reputation of being sexual predators. Bad Wolf ” (Diane Pearson, Voices of Summer, 1993).